Newly released B-21 unclassified computer art? Deja Vu Baby! 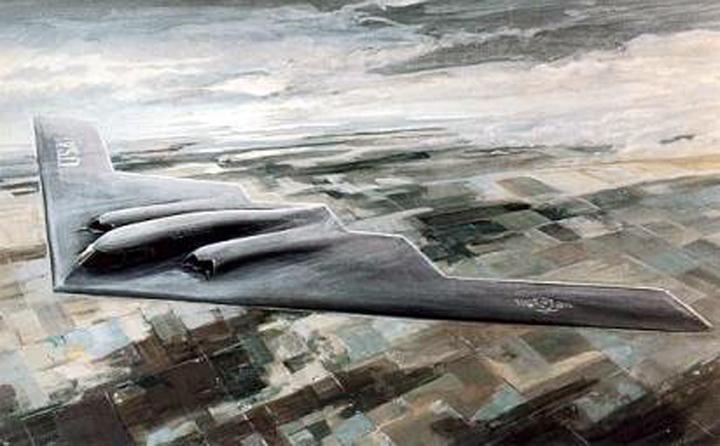 The artist's concept revealed by the Air Force for the newly-revealed B-21 "bomber" (will that moniker survive or will it become something else when it is all said and done?) is "Deja Vu all over again". Cool. Someone has a sense of humor...and history. Note the similarities between the two in what is obscured and what is revealed. Both illustrations mask the exhaust design completely and 'shadow' the aft window areas. The B-2's debut drawing had more details shown for the intakes, but there may not be any details to be masked in the B-21's design....or some interesting details left out perhaps? Both illustrations give ZERO indication of what the underside shape or volume may be. 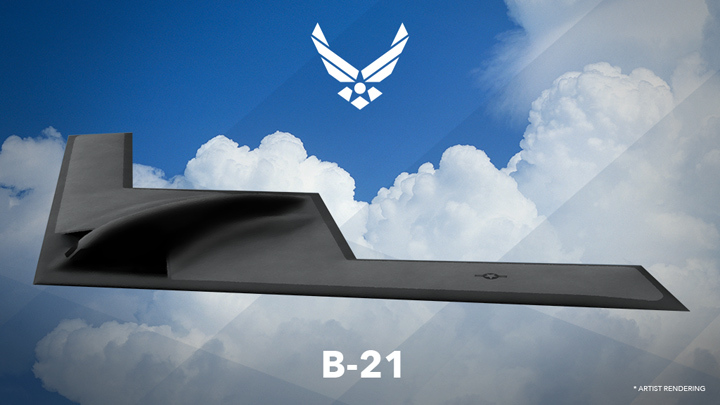 The B-2's leading edge rendering gives a hint to what had become one of its most critical design features: the 'toothpick' leading edge (P.64). I do see something that I find kind of surprising in the B-21 illustration (not going to say what it is until maybe after I talk to some folks) but I wonder now if there's a critical design feature hinted at here that will only come out in time just like the B-2's 'toothpick'? I'll let our potential enemies' minds boggle over the possibilities. I'll also just enjoy the possibility that the data from original B-2 high-altitude design optimization seems to have come in handy for Northrop Grumman in preparing their winning design. 1. So much for all that cranked-kite speculation eh? 2. The conspiracy nuts are going to have a field day with the revelation there has been no prototypes built. Which means the protest was found not too valid. Hooray for sanity! Ignore the grossly incompetent journalistic failure in the last paragraph. Laura just forgot to ctl-alt-desnark at the end. The timing of the news raised questions about implications to the protest decision, but the Air Force maintained that the official, Richard Lombardi, was not involved in the LRS-B source-selection process and was not the service acquisition executive at the time. The Air Force reassigned Lombardi to duties outside the acquisition portfolio and referred the issue to the Inspector General. It is a known and verifiable fact that Lombardi was not the responsible "service acquisition executive" at the time. It is known that he was brought in as the responsible executive's replacement, and we know who Lombardi replaced by name and when. Lara Seligman (or her editor) needs to save the 'maintained' verb for unverified assertions. As to maintaining Lombardi was not involved in the source selection at all, we know 'you can't prove a negative', but you can at least research your subject to get a feel for the probability or possibility that something IS or IS NOT true. For example, I may maintain Lara doesn't strangle puppies for entertainment in her leisure time, but a modicum of research on my part would probably prove it to be VERY UNLIKELY, and therefore not worth mentioning. Tomorrow was the planned release of the GAO's findings on Boeing's LRS-B contract protest. It technically is two days later than the required timeframe/due date, but the deadline was on Sunday and today was a Federal holiday. Will the tempest-in-a-teapot over someone's second-hand ties to a Northrop (or Northrop Grumman) pension that emerged last week delay the announcement? I think it would be pretty silly for it to cause delays, since the person involved had nothing to do with the source selection: he was THAT guy's replacement AFTER the selection was made. But we live in the 'stupid era' and lawyers are involved. What wouldn't have raised an eyebrow a couple of decades ago will set off a storm of controversy because...well because the coddled, noisy elements of society are particularly ignorant and easily manipulated these days and soapboxes have never been so cheap. FYI: GAO's findings, whatever they are, are not binding on the DoD. But if the DoD wants to go against them, it will require varying degrees of political capital to be spent. Should be interesting... if it is not boring...when the news is finally let out. DefenseNews has a young posse of correspondents that are pretty hapless when it comes to analysis, but they still manage to do some actual reporting from time to time. If you can stand having to read around the speculation, hearsay, and opinions coming from the usual anti-defense sources who seem to feed DefenseNews and most other D.C. media outlets, you can pick up some odd useful stuff. ... In last year’s budget request, the Air Force included about $12.6 billion in its research, development, technology and evaluation account for the next-generation bomber from FY17 through FY20, according to official budget documents. 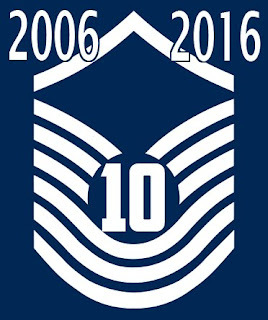 But for the same time period, the service’s FY17 funding profile for LRS-B is about $9.1 billion – a significant drop of about $3.5 billion. Now the real news here isn't that the estimated program cost dropped nearly 28% with better newer data, or that some people over-reacted to the budget change and ASSUMED the worst. How much cost estimates can and do vary wildly depending upon assumptions made and external factors...even over short periods of time. No cost estimate involving the design and fielding of new technology in an unstable funding environment is any more 'REAL' than ANY other. These two points should be kept in mind whenever one hears a cost estimate asserted in the press and is received as gospel. Many fonts of these estimates, such as Todd Harrison, who is now a go-to CSIS soundbite source, need to start assuming some mantle of humility in their cost and budget assertions, if only to at least PRETEND that someday they will be held accountable for their applying inconsequential knowledge to consequential things. I know, I know. Lately I've been on my longest hiatus ever. I needed the downtime after spending most of the non-holidays in November and December closing out a 4 year project-from-hell, and am still wrapping up the paperwork in the aftermath. But I hope to return to 'normal' blogging as of today, with some posts that close out old series and try to introduce some new topics, staying with the more substantial topics if I can resist the urge to swat intellectual flies. I can't imagine how other people have lasted as long as a decade doing this stuff at the rates of posting I've witnessed and I marvel at their productivity (and in some cases wonder what in the h*ll could they fit into their lives other than blogging). It can be a grind if you let it be. But while the emphasis here may shift, I shall attempt to 'endeavor to persevere'.